According to the most current statistics, one billion people throughout the world has a disability of some kind, with one-fifth of them experiencing a significant disability. In the United States, one in five people have a disability. Some of the most common disabilities include those having to do with significant hearing, vision, or mobility impairments. Dementia, frequent depression, and other types of mental health issues that interfere with daily activities, are also considered disabilities. While there is a wide variety of disabilities that affect people of all ages, most disabilities have a couple of things in common, and that is they usually interfere with the ability to learn and to work. Many strides have been made in recent years to bring awareness, but many advocates realize that much more needs to be done when it comes to the rights and well-being of persons with disabilities. In 1992, the United Nations General Assembly proclaimed December 3 as the International Day of Persons with Disabilities. In doing so, they helped to create awareness of persons with disabilities in every aspect of life, including economics, politics, and culture. This year's theme for the International Day of Persons with Disabilities is "Transformation towards sustainable and resilient society for all." Part of the goal of the United Nations is to implement the 2030 Agenda, which pledges to "leave no one behind" when it comes to inclusion, sustainable development, and promoting a resilient society. This year's observation will be taking place at the UN Headquarters in New York where there will be panel discussions and cultural events. While it is a good thing that the United Nations understands the importance of bringing awareness to persons with disabilities, some say that more needs to be done in order to help these persons become active members of the workforce. The National Telecommuting Institute (NTI) is one such organization that helps to do just that. With a mission to identify and develop work-at-home jobs for Americans that are physically disabled, NTI has been training and finding work-at-home jobs for people with disabilities since 1995. Some of these employees have found jobs at U.S. government agencies, Fortune 500 companies, and smaller businesses. In 2012, NTI expanded our offerings with LandAjob, a division that helps Americans with Disabilities obtain on-site jobs as a way to assist them in finding sustainable employment. If you are interested in learning more about our programs, visit our @Home website at goo.gl/dcQQmB or LandAjob at goo.gl/UZ2fif. Maybe NTI can help you on your journey toward a sustainable future. When you have a disability, it can be hard to find or keep a job. Sometimes, employers underestimate the capabilities of employees with disabilities and are reluctant to hire them. In other cases, would-be job-seekers may need additional training and other supports to succeed in the workplace. In 1999, Congress passed the Ticket to Work and Work Incentives Improvement Act to help people with disabilities achieve financial independence. Under the law, those who receive SSI or SSDI benefits and are between the ages of 18 and 64 are eligible for a "ticket" allowing them to obtain free employment services, such as job coaching and placement, through vocational rehabilitation (VR) or other service providers. Participation in the program is voluntary. Many people with disabilities are hesitant to return to work for fear they'll lose their benefits and healthcare coverage. With the Ticket program, participants can keep their benefits and Medicare or Medicaid coverage for an extended time period while they receive job training and enter the workforce; otherwise known as the Trial Work Period. You can learn more about the program on the Ticket to Work website at https://www.ssa.gov/work/. Additionally, the Social Security Administration also puts out a yearly guide called the Red Book, which describes how to participate and how your benefits will be affected. You can download a copy here https://www.ssa.gov/redbook/. To participate, you will need to verify your eligibility. From there, decide which type of service provider will be the best fit for you. One of the ways to access job services is through an Employment Network, like NTI. Some of these networks not only help you find a job, they also give you ongoing support while you're working to help you achieve long-term success. NTI is an Employment Network dedicated to helping people with disabilities find gainful employment. We assist individuals with disabilities find remote work with Fortune 500 companies. For many, these jobs lead to rewarding careers in customer service, tech support, and call centers. To prepare clients for employment, we offer virtual classes through NTI University. We also have an eMentoring program to provide one-on-one support to our job candidates throughout the recruiting, training, and hiring process. If you would like to be guided toward success through our job-services, please visit NTI at goo.gl/opzKNQ. The registration process only takes about 5-minutes to complete. Smoking tobacco is the number one cause of preventable disease throughout the world, yet more than 36 million people in the United States continue to smoke. Each year on the third Thursday of November, smokers participate in the Great American Smokeout run by the American Cancer Society. The goal is simple. To get people who smoke to stop smoking, even if it is for one day on November 16, 2017. Smoking is hard to quit alone. Nicotine is addictive, and you can get hooked on cigarettes very quickly. As you try to quit, nicotine withdrawal often leads many people to start smoking again. While it's a deadly habit, most people aren't able to quit alone because of how addictive smoking is. The American Cancer Society created the Great American Smokeout as a way to raise awareness, and to get those who are smokers to think about their smoking habits. On November 16, 2017, smokers are asked to stop smoking for the day as a way to kick-start quitting smoking overall. The goal is to continue to reduce the percentage of Americans who smoke tobacco each year. In the 1960's, roughly 42% of Americans were smokers. Today, approximately 15% of Americans continue to smoke despite the known health hazards. Smoking includes cigarettes, cigars, hookah, and pipes. The rise of hookah use among younger adults is as dangerous as smoking cigarettes and should be avoided at all costs. If you have a loved one who smokes, find out how to be supportive. Encourage your loved one to stop smoking this November. Better breathing and more energy are two health benefits that may be felt within weeks of quitting. NTI believes strongly in helping those with disabilities live a rich, productive life. To register for our job-services, go to our website at goo.gl/ssGpLJ. Come see why NTI is a leader in helping people with disabilities back into the workplace. November is National Diabetes Awareness Month (NDAM) and today is World Diabetes Day as recognized by the United Nations. The goal is to spread awareness and understanding of all forms of diabetes, ranging from Type 1 and Type 2 to gestational diabetes and every variance in between. Millions of people across the United States deal with the life-altering effects of diabetes on a daily basis, and managing these effects can be challenging to many. In fact, about 1.5 million new cases of diabetes were diagnosed in the United States. 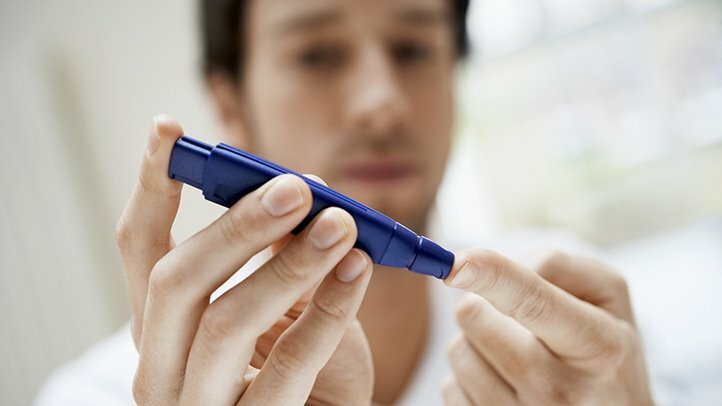 When many people think of diabetes, they tend to think of Type 1 and Type 2; these are certainly among the most common and severe manifestations of the disease. Type 1 diabetes refers to a condition where the pancreas produces either too much or not enough insulin, whereas Type 2 occurs when the body has trouble processing glucose (blood sugar) as it should. Gestational diabetes is another relatively common form of diabetes, though the good news with this type is that it is temporary. Specifically, gestational diabetes only affects women who are pregnant and results in high blood sugar that can usually be controlled. Prediabetes should also be considered, as this condition is often found in those who have elevated blood sugar and will likely develop Type 2 diabetes later in life, without proper lifestyle change and/or medical intervention. However, those with prediabetes don't have blood sugar levels that are quite high enough for an official Type 2 diagnosis. Every day can be a challenge for those living with and managing diabetes. Careful monitoring of blood sugar, lifestyle changes, and medications (such as insulin) are often required. NTI is committed to helping people with disabilities return to work, including those suffering from any form of diabetes. If you are on SSI or SSDI and would like to use our remote job-services, register today at goo.gl/AitzVW. Get started on the path to employment with telecommuting roles at Fortune 500 Companies. We talk about the benefits of finding a good mentor. Do we think about what mentors get from the experience? As a part of recognizing the importance of disability mentoring here is a personal account of how being an eMentor has affected Billie Holt of NTI. Billie is just one of seven eMentors available to clients of NTI. It is comforting to know that there are people available via phone or video to support and offer career guidance. If you are a person with a disability who is ready to return to work, you can benefit from eMentoring, too. Register with NTI today via goo.gl/3LXUcF to start the process. NTI is a leader in connecting people with disabilities to remote job opportunities. All of us benefit at challenging times from the guidance of others who know what we are facing and can lead us in the right direction. People with disabilities often face unique difficulties, and for them guidance can be harder to find. The American Association for People with Disabilities uses National Disability Employment Awareness Month to spotlight disability mentoring. NTI is proud to offer virtual mentoring for all our clients with disabilities. Amber Clary, an NTI eMentor, says, “The main thing that I love about my job is being able to help a person through a process. I know what it is like going through NTI as a candidate. I was unsure of myself or what I could do considering it had been a while since I had been employed. I can understand these feelings when it comes to the people I mentor.” As one of NTI’s first eMentors, Clary had the experience of using a Suitable Technologies robot during NTI’s celebration of International Day of People with Disabilities Day in 2016. The robot enables “authentic eye-to-eye” communication with people in a distant location and is a valuable tool for people working remotely. Watch her experience here goo.gl/LD3WVE. When illness or injury causes a person to become disabled and unable to work, it can affect their self-esteem. Creating opportunities for people with disabilities to return to work helps them regain confidence and independence. Mentors can help with that process. Clary knows the value of this relationship and opines “I am privileged to be a part of it.” Thanks to Clary and other eMentors, NTI is able to help individuals with disabilities return to work every day. NTI is grateful to have a dedicated team that understands the challenges and abilities of the clients they serve. Last year, Ambers' experience was highlighted on High Five Day. If you would like to read more about her, view her blog article here https://goo.gl/UWpt9X. If are on SSI or SSDI and would like to return to the workplace and be guided by people like Amber, visit NTI at goo.gl/Cqz3Bo. What do actress Zooey Deschanel, Keith Obermann, Elizabeth Hasselback of “The View,” and Massachusetts Lieutenant Governor Jane Swift have in common? They are some of the 3 million Americans who have Celiac Disease. When individuals with celiac disease eat gluten, an immune response occurs that attacks the small intestine. Gluten can be found in grains such as wheat, barley, and rye. For Celiac Disease Awareness Day, consider trying this recipe for Enjoy Life’s Caramel Apple Muffins. Did you know that a gluten-free diet is the only effective treatment for celiac disease? A lot of people think that food without gluten doesn’t taste as yummy as regular food. What do you think after trying this recipe? To make the muffins, preheat the oven to 350˚F. Line a 12-cup muffin pan with paper liners or spray lightly with oil. Combine the Muffin Mix, cinnamon, and nutmeg in a large bowl. Whisk to combine. Add the water and oil. Whisk until well-combined. Divide the mixture into the prepared baking pan, filling each cup about two-thirds full. Press a third of a Chewy Bar into the middle of each filled cup. Bake for 20-30 minutes until golden brown and a toothpick inserted comes out clean. Let cool 10 minutes, then transfer each one to a wire rack to cool completely. Once the muffins are cool, make the glaze. Combine the brown sugar, buttery spread, and milk in a small saucepan. Bring to a boil and let bubble for 1 minute. Remove from heat and add the confectioners’ sugar, whisking vigorously to combine. Stir in the vanilla extract. Let cool 10 minutes. Dip each muffin into the glaze, putting them back onto the wire rack to let the glaze firm, about 5 minutes. Serve, storing leftovers in an airtight container at room temperature for up to 2 days and any other leftovers in the freezer. Let us know how you did with this gluten free recipe or if you have another, feel free to share a link! At NTI, we understand both physical and mental disabilities and want to see you succeed not only in your lifestyle but in the workplace as well. So, if you or someone in your inner circle is on SSI or SSDI and would like to get back into the workplace, feel free to register on our website here goo.gl/BqB9Tz.